Payday Senior Labor Reporter Mike Elk has unexpectedly found himself $200 short on his rent at the end of the month after suffering from a bad asthma attack and spending several days struggling to breathe. He was diagnosed with strep throat and a severe respiratory infection. The medical bills and the missed freelance work have set him back quite a bit. Because Elk relies on freelance income and Payday donations to make ends meet, days of illness have cost him hundreds of dollars. On top of that, his progress chasing hot stories like the use of prison labor in “Dunkirk” and the Post-Gazette Byline Strike has slowed down somewhat. Having just moved back to Pennsylvania, Elk is currently without health insurance as he goes through the limbo of qualifying for subsidies on Obamacare. But his strep throat wouldn’t wait, and Elk had to pay out of pocket for the visit to the doctor and the medicine as well as the cab rides there and back. The entire affair put him out $250. The strep throat has cost him a week and half of full-time labor reporting work and caused him to fall behind on an $800 freelance assignment. At the end of the month, Payday Senior Labor Reporter Mike Elk is $1,000 behind where he would have been without getting sick. He’s flat broke, $200 short on the rent, and still recovering from being very sick. 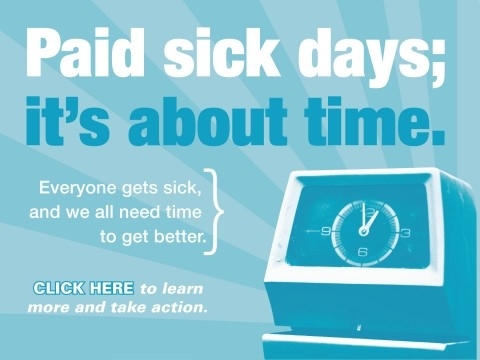 With donations from over 600 readers this past year, we are a reader-funded publication so we are gonna need our readers’ help in order to have paid sick days! Read Payday’s full list of impact stories here and see if we are worth the investment. Be the first to comment on "Donate – Payday’s Mike Elk Gets Strep Throat – Help Him Pay His Bills"